The eighth in series of pyrotechnics masterclasses saw Steve Frosdick in Bosnia and Herzegovina to co-moderate another two-day event. 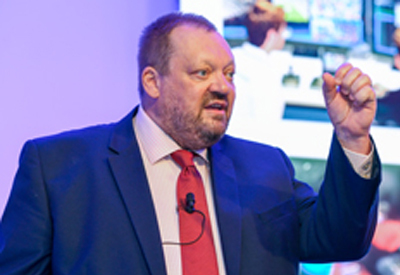 For the seventh pyrotechnics masterclass in the series, Steve Frosdick was in Russia to co-moderate a two-day event for the Football Union of Russia. Steve Frosdick was part of a team which delivered two days of joint training for club/stadium safety/security managers and police match commanders in Hungary. 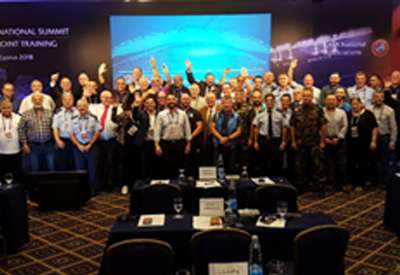 Steve Frosdick was part of a team which delivered four days of joint training for stadium safety/security managers and police match commanders in Cyprus. 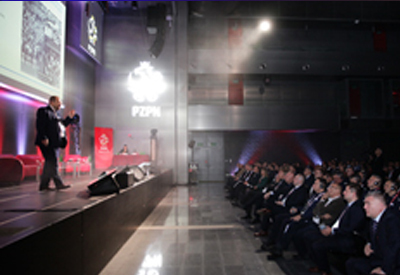 Steve Frosdick was the main speaker at the 18th edition of the Polish Football Association’s 'Safe Stadium' Conference. He gave a lecture entitled 'Complacent About Risk: Haunted By Responsibility'. 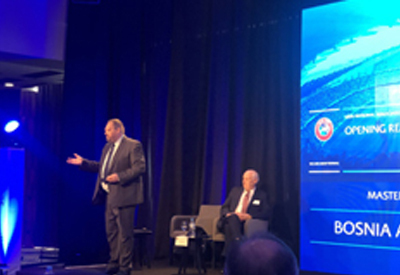 Continuing the series of Pyrotechnics masterclasses, Steve Frosdick co-moderated a two day event for the Croatian Football Federation. 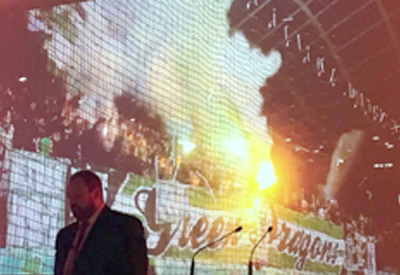 Steve Frosdick was co-moderator of a Pyrotechnics masterclass organised by the Football Association of Slovenia. 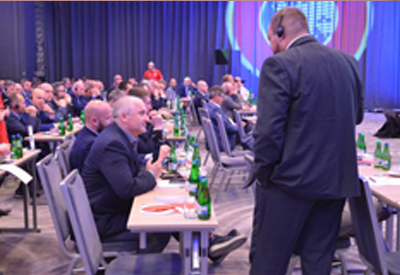 Steve Frosdick was co-moderator of a Pyrotechnics masterclass for some 200 delegates invited by the Polish Football Association. 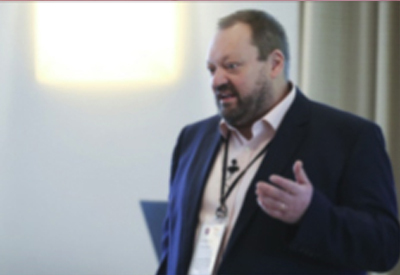 Steve Frosdick was part of team which delivered a Counter Terrorism masterclass for security officers from football stadiums in the top two Russian leagues. 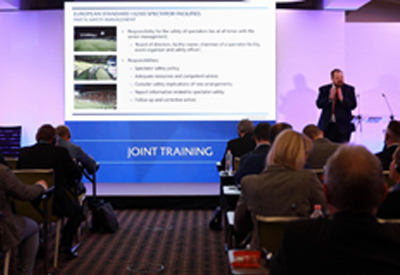 Gerald Toms and Chris Baker delivered a ‘train the trainer’ course to support the Football Federation of Ukraine in their preparations for the 2018 UEFA Champions League Finals. 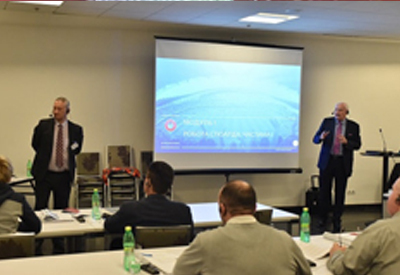 Steve Frosdick and colleagues again returned to Moscow to complete a third stewarding 'train the trainer course for the Football Union of Russia. The trainers went on to train the stewards who will work at the twelve stadiums to be used for the 2018 World Cup. 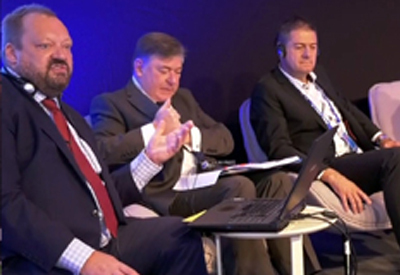 Writing in the Guardian on 12 September 2017, football journalist David Conn interviewed Steve Frosdick for an article entitled Clubs step up counter-terrorism before Champions League. 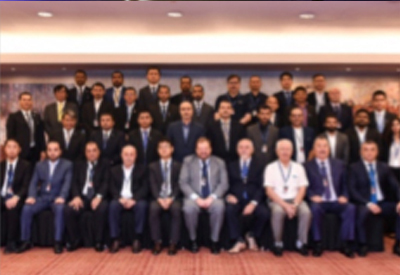 In August, Steve Frosdick gave six presentations at two separate security officer conferences organised by the Asian Football Confederation in Kuala Lumpur. Malaysia. 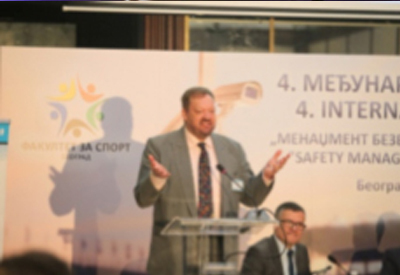 In June, Steve Frosdick was a speaker at the fourth international conference Safety Management of Sports Competitions organised by the Faculty of Sport at the University "Union – Nikola Tesla" in Belgrade, Serbia. 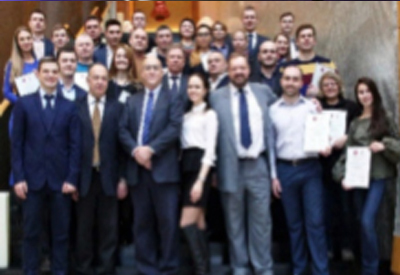 In February, Steve Frosdick and colleagues returned to Moscow to complete a second stewarding 'train the trainer course for the Football Union of Russia. The trainers went on to train the stewards who worked at the four stadiums used for the 2017 Confederations Cup. 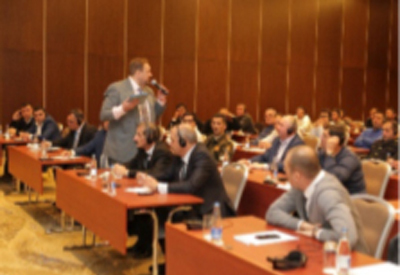 In November, Steve Frosdick was in Baku as a main contributor to a football safety and security seminar organised by the Association of Football Federations Azerbaijan. 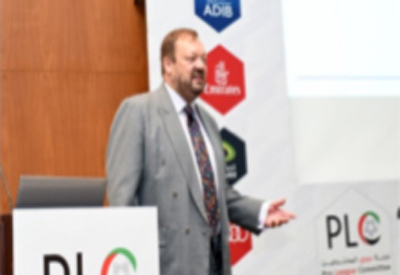 Steve Frosdick was a guest speaker at the United Arab Emirates Pro League Committee’s Pre-Season Workshop in August in Abu Dhabi. 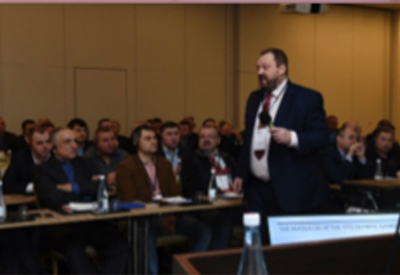 In February, Steve Frosdick and colleagues undertook a stewarding ‘train the trainer course in Moscow for the Football Union of Russia. The trainers were then responsible for training steward working at stadiums in the Russian Premier League. 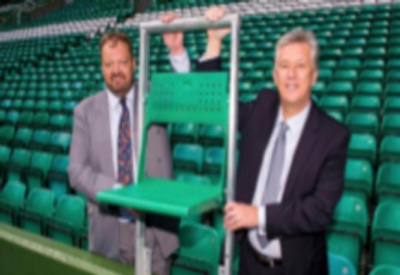 June saw the culmination of several year's work for Steve Frosdick and his client, Celtic FC in Glasgow, when the club was finally granted permission to install the first rail seating (safe standing) system in a UK football ground. Sky Sports included in their news report an interview with Steve and a video of his live television demonstration of the seat. 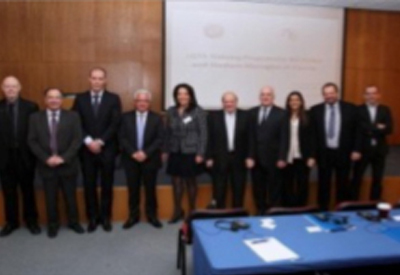 Steve Frosdick was part of a multi-agency delegation which delivered a joint training course for police match commanders and stadium safety and security officers in Cyprus in January.